The Georgia Forestry Commission was called to the start of a wildfire in Commerce, Ga today around 2 p.m. According to the Fire Danger Forecast, Clarke County and the surrounding counties are between a 3.5 and 4 rating, meaning high to extreme danger of fire. Payton Turner said he and his crew were very “fortunate” with the fire today because it was containable. They have been fighting fires at a higher rate than usual. Don’t burn unless you first check the fire danger forecast. 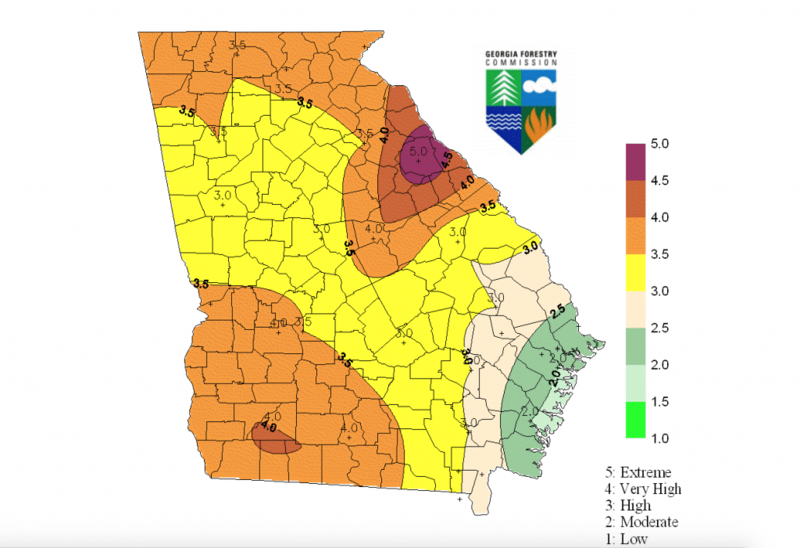 The Georgia Forestry Commission is not granting any burn permits to Northeast Georgia and they don’t suggest burning with conditions at or above 4 on the fire rating system.